Tripasuri Venkata Shiva Madhav from Vapi, B.E. - B.Tech Graduate. Working for : GALADA POWER AND TELECOMMUNICATIONS PVT LTD. Currently working as Project And Production Engineer at GALADA POWER AND TELECOMMUNICATIONS PVT LTD.
MAT LAB DRIVES FURNACES HYDRAULIC & PNEUMAT.. COMPRESSOR TECHNOLOG.. ALUMINIUM ROLLING PL.. SPECTROMETRY PRODUCATIONPROCESS S.. PROJECT & COMMISSION..
are one of expert skill area's of Tripasuri Venkata Shiva Madhav . 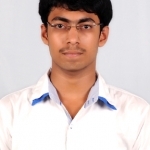 Tripasuri Venkata Shiva Madhav is working in Production/Manufacturing/Maintenance industry.